The Supported Options Initiative aimed to provide support and advice to young people (up to 30 years of age) and children in the UK who do not have permanent immigration status or are undocumented. Many of these young people feel that they are unable, or for various reasons are unwilling, to approach organisations for help. There may also be only very limited options available through which they can seek to address their situation. The programme was established by the PHF Social Justice programme with support from US-based organisation Unbound Philanthropy, with the hope that, through innovative approaches, it may be able to help bring about the creation of trusted and reliable means through which these young people can seek help. 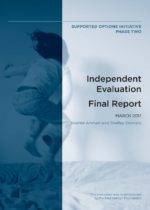 The Supported Options Initiative was developed following research on young undocumented migrants. 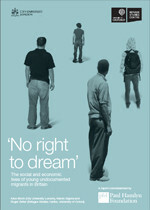 The PHF report, ‘No Right to Dream’, published in 2009, presents rare first-hand accounts from young people who are undocumented in England. The programme included support to around twenty projects being undertaken by community organisations, law centres, and national children’s organisations. There were two phases of funding; the first from summer 2012 to summer 2014 and the second from summer 2014-April 2017. The social and economic lives of young undocumented migrants in Britain. 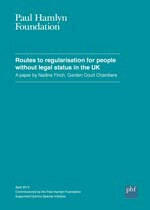 The paper gives an overview of possible routes to regularisation for irregular migrant children and young people living in the UK. It was commissioned by the PHF Social Justice programme Supported Options Initiative.